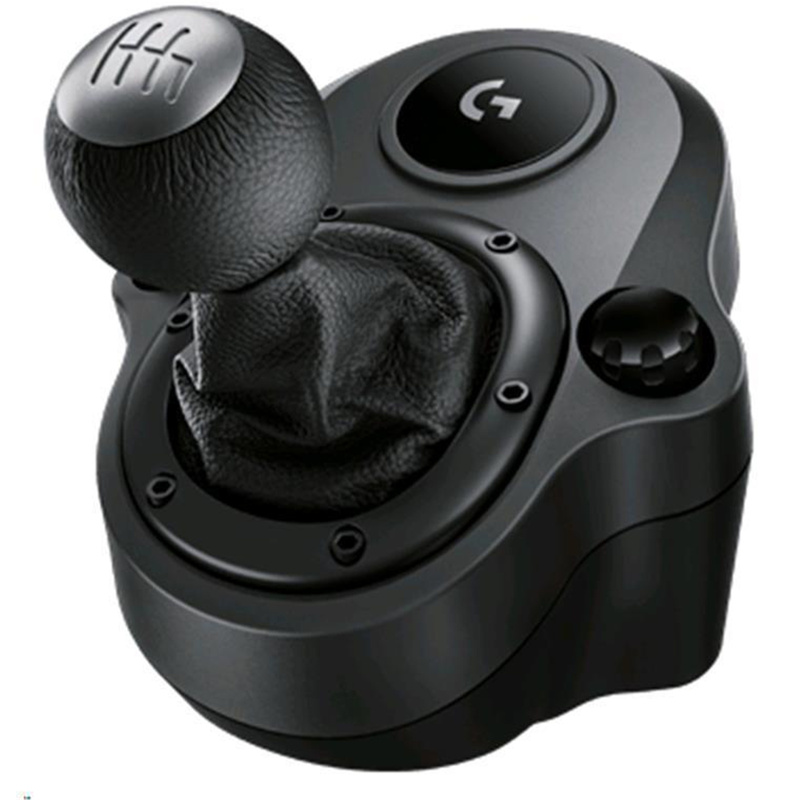 "Works as expected, though it would be great if it also has an interlock where the stick will be locked if you fail to press the clutch"
"Works really well with the g29 and just makes the whole experience much better! :)"
"A Must Have Product if you have the G29/G920. 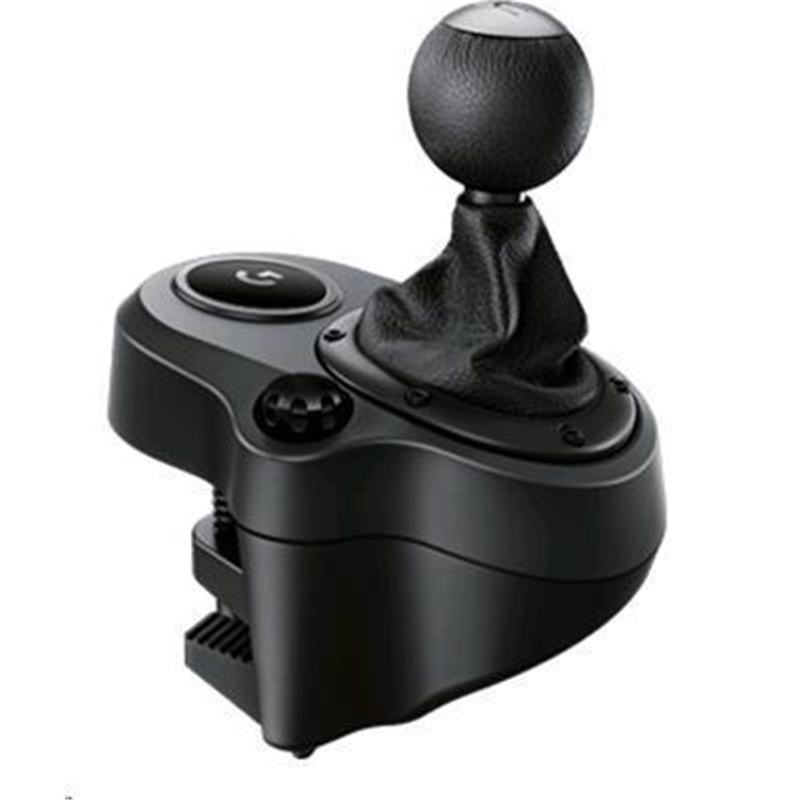 Works excellent with PC"
Driving Force Shifter is designed for both G29 and G920 Driving Force racing wheels, to enhance the latest PC and console racing titles. 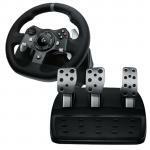 Add Driving Force Shifter to your racing wheel setup to complete your racing rig for a more realistic experience. The six-speed "H"-pattern shifter moves fluidly and solidly clicks into each gear, helping you execute smooth, accurate gear transitions on hairpin turns and straightaways. If you're a simple petrolhead like me, you'll appreciate that cars started out with the lever operated gearbox. Chances are you've grown up with classic, powerful beastly machines that put you in control of all that power. From Purebred track monsters and Straight-line Drag beasts to Hillclimb Demons and Rallycross shredders, they have all started with and some to this day, use the 6-speed shifter. This shifter is essential to complete the logitech set. Hook it up to the wheel, clamp it to your table and bask in the euphoria as the shifter clicks into your desired gears. View MoreIf you're a simple petrolhead like me, you'll appreciate that cars started out with the lever operated gearbox. Chances are you've grown up with classic, powerful beastly machines that put you in control of all that power. From Purebred track monsters and Straight-line Drag beasts to Hillclimb Demons and Rallycross shredders, they have all started with and some to this day, use the 6-speed shifter. 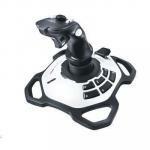 The shifter may face the same problem with the steering wheel if your table is rounded. However, the shifter comes with so many clamping points that its almost impossible to rip the shifter off the table once you mount it, unless you loosen the clamps. One potential downside to this is that the shifter may feel too light for some drivers, like "there's no weight to it." Although for me, I prefer the weight this shifter currently has, which allows for quick shifts depending on the car you drive in your game. If you buy a G29 wheel, you need this for a great driving experience.If you buy a G29 wheel, you need this for a great driving experience. 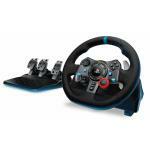 You can't just buy a G29 and not have the shifter, racing with the G29 and the shifter makes racing amazing. 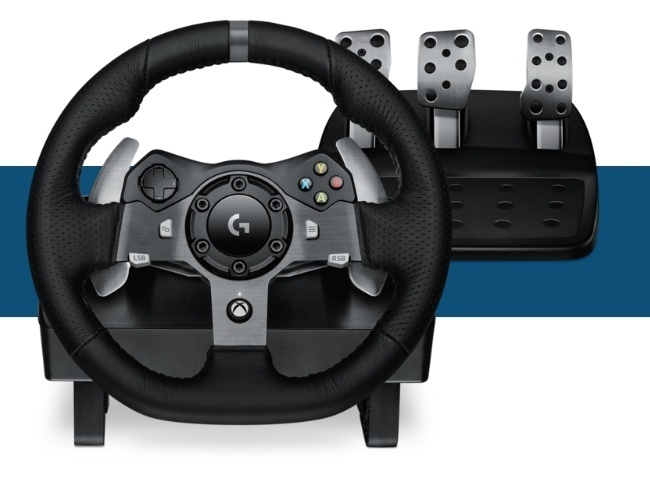 would recommend to anyone who on the fence in getting this!You can't just buy a G29 and not have the shifter, racing with the G29 and the shifter makes racing amazing. would recommend to anyone who on the fence in getting this! Simulates a real shifter surprisingly well, couldn't imagine why you wouldn't purchase this alongside the Logitech G920. 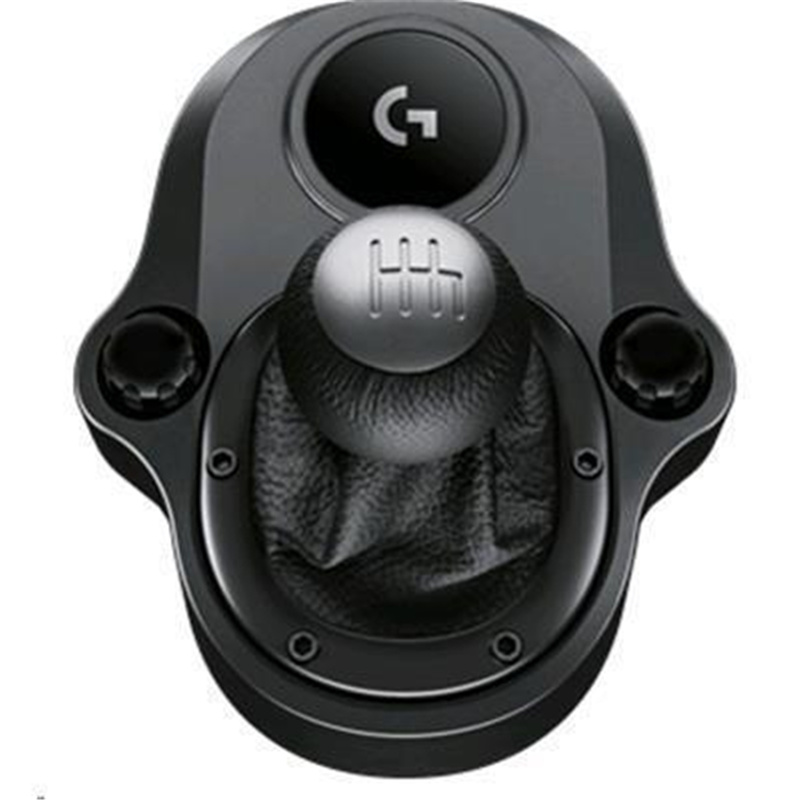 Only downside is the plastic cap on the top of the shifter wiggles around when you shift gears.Simulates a real shifter surprisingly well, couldn't imagine why you wouldn't purchase this alongside the Logitech G920. Only downside is the plastic cap on the top of the shifter wiggles around when you shift gears. 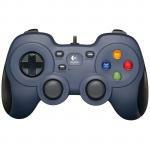 I purchased this stick along with the Logitech 920 in order to use together. The build quality is very good as is the wheel & pedal combo of the 920. It clamps very securely to the desk and doesn't slip it ill. It connects to the underside of the wheel base unit via a "D" pin connector and configures itself automatically so couldn't be more simple setup and get going right away. The shifter works in a typical "H" pattern and feels very firm and precise. My only gripe is that it can't be used as a sequential shifter which was my main reason for purchasing it, but for price I can hardly complain. View MoreI purchased this stick along with the Logitech 920 in order to use together. Most of my racing games are a little old now and I believe only GT Legends and Grid can be setup to make use of the shifter and clutch pedal combo. I have yet to experiment with these but sure they will perform just as well as the 920 wheel and pedal combo. My final verdict is to avoid if your looking for a sequential shifter to use in lieu of the paddles on the wheel, but to those who are after the full range "H" pattern shifter... look no further. A well engineered piece of kit at a very reasonable price. Must have accessory. Outstanding build quality.Must have accessory. Outstanding build quality. A must have when getting the wheel. Was wondering how strong it was guna be but its more than enough. 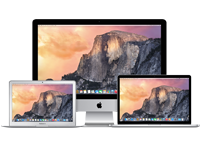 Check if its compatible with your favourtie games. It works on project cars with the clutch but clutch pedal (that comes with g29) does not register on dirt rally but you can still just shift through the gears. Great buy and a must if your getting the wheel.A must have when getting the wheel. Was wondering how strong it was guna be but its more than enough. 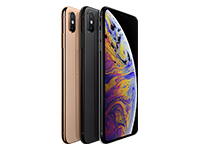 Check if its compatible with your favourtie games. It works on project cars with the clutch but clutch pedal (that comes with g29) does not register on dirt rally but you can still just shift through the gears. Great buy and a must if your getting the wheel. 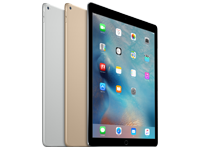 PB Tech price: PB Tech price: $64.34 ex. 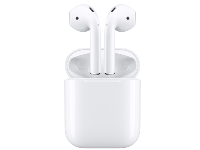 $73.99 inc.